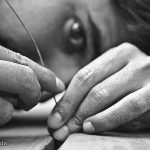 Editor’s Note: A few weeks ago Fulbright Fellow Zach Hyman @SqInchAnthro introduced readers to the world of low-resource creativity in China. In this post he takes us into a day in the life of a 3-Wheeled Vehicle-based Fruit Vendor. Below is a rich ethnographic description, giving deep glimpses into the detailed financial exchanges and intricate processes that unfold in just one day. Zach concludes his post with several reflections on the social interactions that hold a day like this together. Check out past posts from guest bloggers. Introduction: My preferred method for researching how owners use and modify their vehicles is engaging in participant observation by riding along and working with them. Once I am able to break through the barrier of convincing vehicle owners that I am not afraid of “getting my hands dirty” and am eager to help them work, the stage is set for a day filled with insights as I work side by side with users in context and see firsthand the role their vehicle plays in their lives. This particular ride-along came relatively early on in my research, where I had the privilege of riding along with a fruit vendors who uses their three-wheeled vehicle 1) to transport fruit from the market to the point of sale, 2) as a means of displaying the fruit to customers, and 3) a storage solution for the fruit when the vehicle is parked at his home at the end of the day. 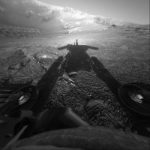 In this post, I explore the first of these uses. 6:50 AM: I am standing at the junction of the ShiQiao Bridge, in Chongqing, China. The sun is trying to pierce through the heavy morning mist. It is early October, I can barely see my breath, and the smell of diesel and exhaust begins to intensify with each passing minute I spend standing at this intersection of a tunnel and the 4-lane road that feeds into it. I am surprised at the lack of guidance provided to the lanes of merging drivers, and I stop keeping track after witnessing a dozen near misses. Surprisingly, there is not much honking, just labored, steady merging. I am not alone here – there are other people who have congregated at this natural pick-up point. Unlike myself, they are dressed for office jobs – two girls in matching formal uniforms and sporting gold plastic nametags. Another man wearing a loose-fitting suit, resting his black leather briefcase on the concrete divider as he leans against it on a piece of newspaper, eats dumplings held in a plastic bag. At 7:00 AM, a late-model Volkswagen Passat pulls up and the women jump in. The man continues to eat his dumplings. 7:15 AM: Exactly on time, Liu* pulls up in his 3wv, tooting his horn and flashing his headlights as he swerves out of the flow of traffic. I hop in, he stabs the accelerator, and we lurch forward, attempting to regain the pace the surrounding vehicles are maintaining before the road narrows and feeds on to the bridge. We barely make speed and I watch with trepidation as we merge into the flow, all to a chorus of the horns of adjacent drivers rushing to work. 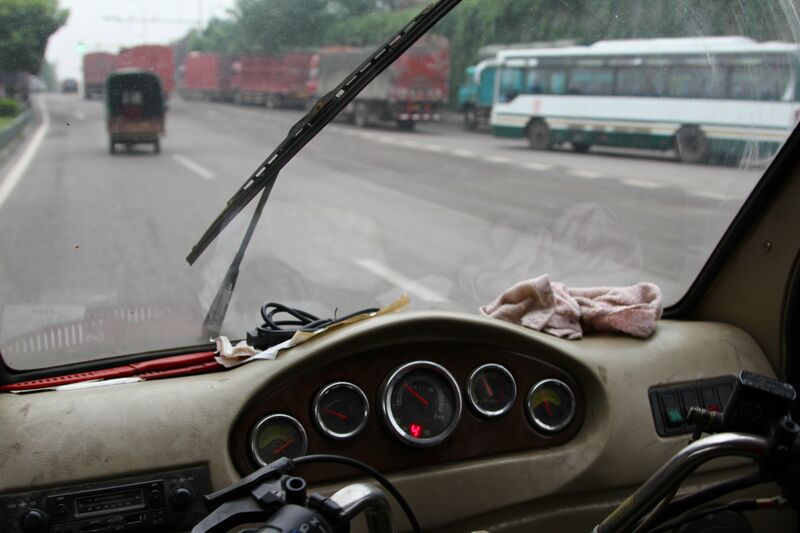 The radio is blasting the latest bad news about the Diaoyu Island row, and the section of sheet metal he installed behind the cab is whips and rattles in the wind and as we go over bumps in the road. I’m wedged up against the left side of the interior of the cab, my legs contorted to fit the curvaceous bubble-shape of the cab. 7:21 AM: During the drive to the market, he shares with me his plan to purchase a large amount of sugar cane next month when the crop is supposedly at its most sweet. He explains that people traditionally like to eat sugar cane during this month, though usually its consumption is limited mostly to children and younger people as chewing through the cane can be rough on one’s teeth. The approach to the market as seen from Liu’s vehicle – notice the queued trucks. 7:24 AM: We arrive at the entrance to the market, and come to a stop – directly in the flow of traffic. Liu leaps out and grabs his several cardboard boxes that contained the grapes he sold yesterday out of the back. I watch as he runs over to a large cargo truck also parked near the entrance that has a group of people wearing Uighur skullcaps standing around it smoking. While he’s speaking with them and handing them boxes, one of the market’s enforcers walks up to the cab and tells me to move my vehicle. I respond in Chinese that this is not my vehicle, and that the driver is behind me. They find Liu and tell him to move along, and that he can’t stop here to conduct his business. He knows the enforcer, though, jokes with him, and introduces me as “his American friend”. 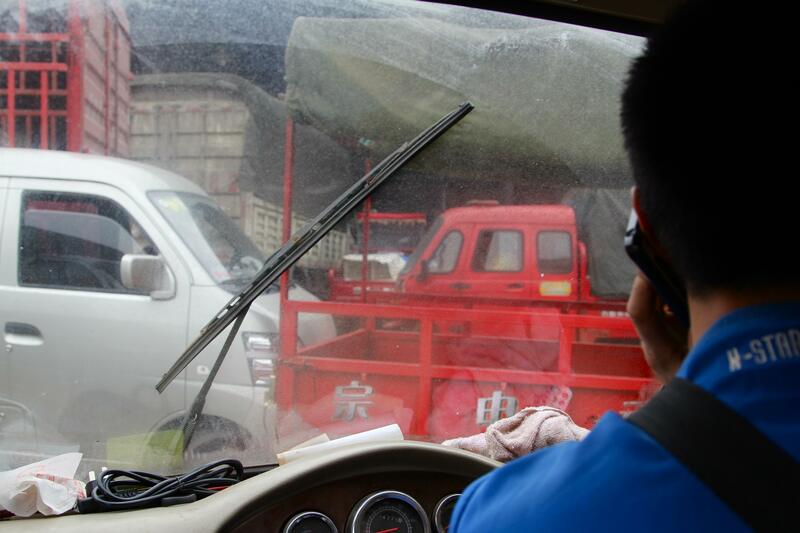 When Liu gets back into the car, he explains that the people who own the truck transport and deal with large quantities of cardboard produce boxes. He was able to get for 2.5 kuai per box (around US $.40) from them, which he says is a fair price. We pass through the market entrance, paying 2 kuai entry fee for vehicles to enter. 7:27 AM: We pull into an airplane-hanger-sized open building that deals exclusively in all sorts of grapes from around the country. The cocktail of pungent petroleum fumes from idling vehicles mixing with the sweet odor of grapes is actually not unpleasant. We walk through rows of different varieties of grapes, with Liu pointing out the relative quality and origins of each; purple grapes from Shanxi, Yunnan, and Sichuan, green grapes from Xinjiang, and so on. He complains because yesterday while he was able to get one jin (1.1 pounds) of grapes for 2.6 kuai (USD .43), today the best price in this section of the market is 3 kuai per jin, and he decides to search elsewhere in the wholesale section of the market where vendors sell directly out of their trucks in order to find grapes at the price and quality that he desires. While bargaining with one vendor, he calls me over to show how grape sellers tend to stuff wads of paper into the bottom of the plastic crates to occupy space and weight, and also how the smaller grapes tend to be piled in the bottom of the crates, because the larger ones are more attractive (even though it would make more sense to put the smaller and more easily crushed grapes below the larger ones.) While inspecting grapes, I see that he uses a small, plastic single-LED flashlight attached to his keychain to shine through the slits on the lower parts of the plastic crates as he tries to assess the quality of the grapes on the bottom of the crate. Actually removing the top grapes and sifting through the concealed grapes on the lower level is taboo, and besides creating more work for the vendors is a very explicit sign of distrust. 7:31 AM: Liu tries to bargain over the reselling of some plastic grape containers that he paid a 20 kuai (around US $3.20) deposit each for. He is unable to locate the original seller to whom he paid the deposit when last bought grapes several days before, and doesn’t have the space in the back of his vehicle to accommodate bringing the empty plastic fruit containers back with him. Now he’s trying to convince another grape seller to take the crates on the original grape seller’s behalf and refund him his 40-kuai deposit. Despite paying 20 kuai for each of the two crates he wanted to return, the seller (a fellow grape seller he’s bought from in the past) is only willing to give him 15 kuai for each crate, causing a total loss of 10 kuai. 7:37 AM: We walk over to the small stretch of vendors selling dried goods such as fruit and nuts, located next to the grape selling area. Liu is interested in whether it would be worth investing in some chestnuts. After walking down the line, surveying inventories and asking prices (no wholesalers have their prices displayed on signs here, all pricing information is acquired through asking the vendor directly), he decides they are too expensive and we walk back to the vehicle. 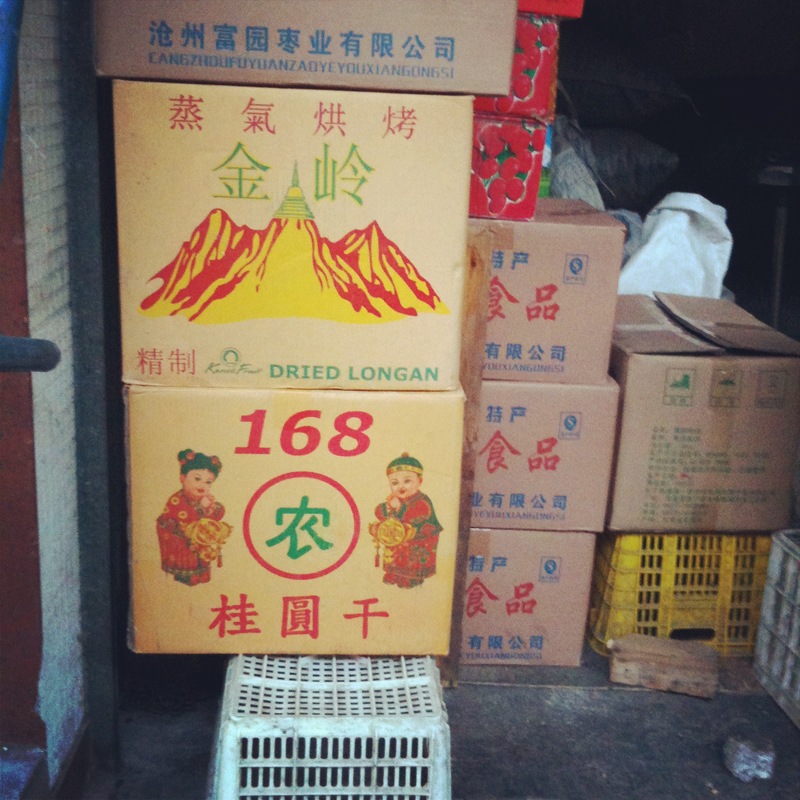 As we walk back to the vehicle, I glance at the inventory of one of the vendors who does not sell produce from across China, but rather serves the anticipated needs of the vendors themselves. The stand seemingly targets mobile fruit sellers needing to mend their vehicles, build simple structures, make signs, and perform the other key activities that make up their days selling around Chongqing. The store stocks items such as sugarcane peeling knives, pliers, metal wire, and all colors and sizes of plastic bags. It one can picture how the various items meet the vendor’s daily needs: electric scales for weighing produce, battery-powered loudspeakers for announcing one’s goods and prices for the day, calculators for displaying prices or bargaining, and so on. There is transparent packing tape, electrical tape, plastic string, a colorful menagerie of permanent markers, calculators, and, as everywhere, cigarettes. One of these vendor-centric stores stock more daily use goods as well, such as cold beverages and sanitary napkins. 7:50 AM: We encounter more container-related challenges: Liu is attempting to return more plastic fruit crates, but the plastic crate trader he is speaking with doesn’t want them. When I ask him why he wouldn’t accept them, he explains that each type of fruit crate is connected to a different vendor or company, and those who traffic and trade in boxes each have a particular company whose containers they prefer to deal with. This particular box trader was willing to buy back only three of Liu’s ten plastic crates. After unloading the crates, we drive on to another grape selling area in the back. As we try to navigate through the market to another grape-selling section in the rear, the vehicular pecking order seemingly enforced by the traffic controllers (and expected by the drivers) is that size rules the day, with smaller vehicles always defaulting to the will of larger vehicles. As we drive through the market, out the window I see other fruit buyers are also using flashlights to inspect fruit like I saw Liu doing. I see several potential buyers inspecting oranges that are on the bottom of plastic crates, apparently to make sure of their quality. After much jostling, we arrive and Liu quickly parks and leaps out to go find his preferred grape vendor. 8:00 AM: After several minutes of intense negotiating, he manages to talk down a grape seller from whom he’s bought in the past from 3.6 kuai per jin to 3.4 kuai per jin, and we load up two crates of purple grapes into his vehicle. These grapes are of As we walk over to a different grape vendor, I reflect upon how the standard goods display in the wholesale market does not lend itself towards honesty. Usually, a truck-based wholesale vendor will be seated at a folding table placed at the base of the rear bed of their vehicle. They will sometimes allow interested buyers to sort through “sample” plastic crates of their produce to inspect for quality (unlike the vendors in the other section of the market), and after negotiating for the price and quantity they desire, one of the wholesaler’s assistants climbs up into the truck bed and selects the requisite number of crates. Once they have paid, if a buyer lacks the means to transport the grapes to their vehicle, their surname is written on the packing paper surrounding the grapes and they are set aside for later retrieval. The bosses (usually the truck owners themselves) write all transactions – name, quantity purchased, price paid – in ledgers resting upon the folding tables at which they sit. Some wholesalers allow you to take the crates that you have been inspecting, while others have employees take crates from the rear of their truck instead of the crates already displayed on the street. At one wholesaler of green grapes from Xinjiang with whom Liu is negotiating, they are using the latter system and he whispers to me he suspects they are doing a “bait and switch”. While they display high-quality grapes in the plastic crates on the street next to the back of their truck, once the negotiating wraps up, the boss forbids buyers from taking the crates displayed on the street level, instead ordering crates to be brought out from the truck bed and given to the buyer. When Liu takes a look at one of the boxes an employee has brought out from the truck, he points out the quality gap between the grapes on display in the street and the ones he has just been presented with from the rear of the truck. Although the wholesaler becomes incensed and tries to insult Liu, Liu calmly walks away. I ask whether he’s angry that the wholesaler just tried to cheat him. “No, I understand. Everyone hopes they can make just a little bit more money, but the only way to do that is to trick the next person in line from you. [You] can’t be mad if you get tricked – you can only try and be more careful next time.” I ask whether there is any system wherein a particular vendor’s honesty can be rated and publicly displayed. He says there is only reputation, but that he never goes back to a vendor who has cheated him in the past. 8:11 AM: As we try to leave the truck-based grape-selling area, we get bogged down in a traffic jam, and are paralyzed for around seven minutes. Finally, the driver who is boxing us in rolls down his window and we enter into a spatial negotiation of sorts. He wants to drive around the traffic jam, but needs to drive through us in order to do so. Were we to back up, that would create space for him to drive by us, and would in turn open up space for us to get out. Liu agrees to this proposed plan, and shifts into reverse, allowing the driver by. Liu then guns the engine and rushes forward to glide through the space the other driver created before it is filled in by the vehicle behind him. It feels as if we are stuck within a massive game of automotive Tetris. Gridlocked, and time for some spatial negotiation. 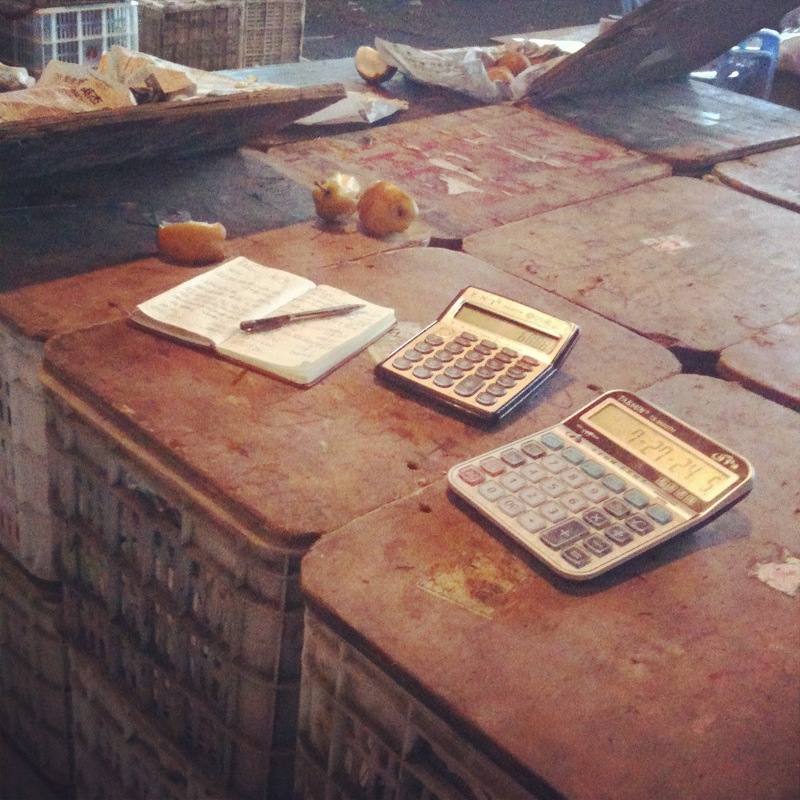 8:25 AM: We park in a different section of grape wholesalers, where buyers and sellers lean upon chest-high stacks of grape crates, using them as both tables for writing and planes upon which to lean and bang their fists while they bargain with one other. Crate stacks as writing surfaces, as well as forums for bargaining and other interactions. 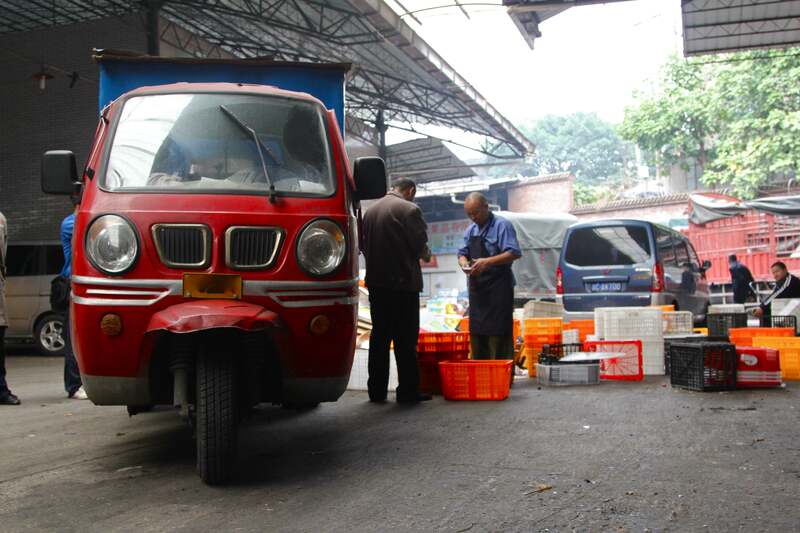 8:33 AM: After buying more grapes, Liu asks a nearby vendor named Zhang (a fellow fruit seller) to drive his three-wheeler from where it is parked near the grape wholesalers around to a nearby pomegranate seller for him while he walks through a different area of the market. He does this because the route between the grape and pomegranate sellers has a lot of traffic, and he wants to inspect the fruit on offer from various sellers by walking by them instead of spending his time negotiating through traffic (and missing the opportunity to appraise the fruit on offer in this section of the market). 8:40 AM: After walking through a section of the market selling sugar cane and clementines, we arrive at a truck, the back of which is filled with crates of pomegranate. His friend, a fellow vendor (who also owns a 3wv and sells fruit out of it) has parked his vehicle nearby. As we approach up, the vendor offers us a pomegranate and cigarettes. We split the pomegranate between Liu, Zhang, and myself, and now everyone is smoking except for me. I realize later that Zhang was eager to do the favor for Liu of repositioning his vehicle for him because although Zhang owns his own three-wheeler, he has parked his vehicle outside of the market on this day to save himself the two kuai entry fee, as well as avoiding the trouble of driving all around to different places in the market, searching for parking, getting caught in traffic, and so on. Like Liu, he says his strategy consists of “[buying] whatever is cheap at the time that [I] think [I] can turn around for a good profit.” Due to their similar business models, as Zhang and Liu speak they ping each other for insight into what types of fruit fall within their shared criteria for price and quality. 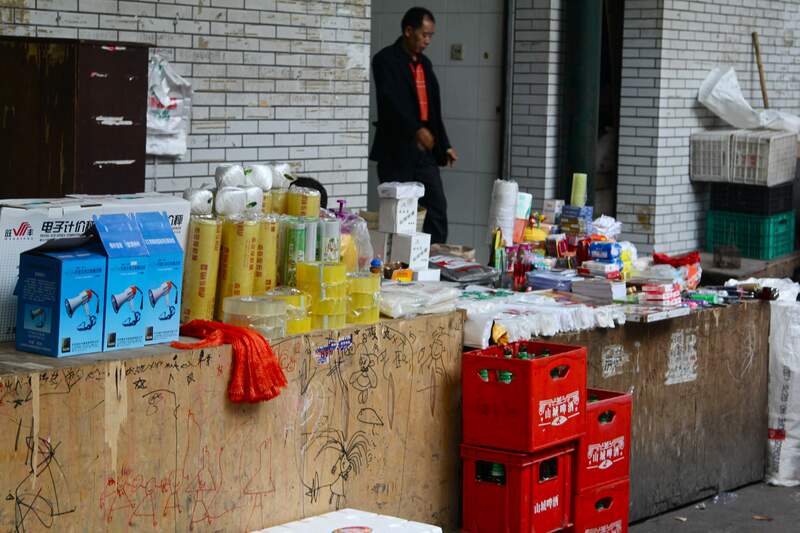 He sells in Jiangbei, the neighborhood across the Jialing River from Shapingba (where Liu prefers to sell). Today Zhang is relying upon Liu’s vehicle (and kindness) to transport the fruit he has bought from inside of the whole market to outside, where his vehicle is parked. 8:45 AM: Liu decides not to buy pomegranates, and we leave Zhang negotiating with the vendor and get back into the vehicle. At this point, traffic is starting to thin out in the market, and Liu tells me now is usually when most daytime vendors start to depart so that they can arrive at their sales positions by 9 AM. He plans on leaving soon, but wants to see the price of pomelo first. We drive to another aircraft-hanger sized building filled entirely with pomelo. The entire area is enveloped in a citrus-smelling cloud, mixed with the earthy odor of the straw upon which thousands upon which thousands of pomelo are are stacked into pyramids and walls. 9:01 AM: Liu spends several minutes walking up and down the nearly identical rows of pomelo, chatting with vendors and getting a feel for the various prices and quality. He takes out his scale to measure one vendor’s pomelo, as for some reason she does not have her own. This drives home the importance of an easily moveable and repositionable scale for vendors. Throughout the negotiation and weighing process, the moving of the battery-powered scale out of the rear of his vehicle and on to the ground to weigh out pomelo is simple and easy. 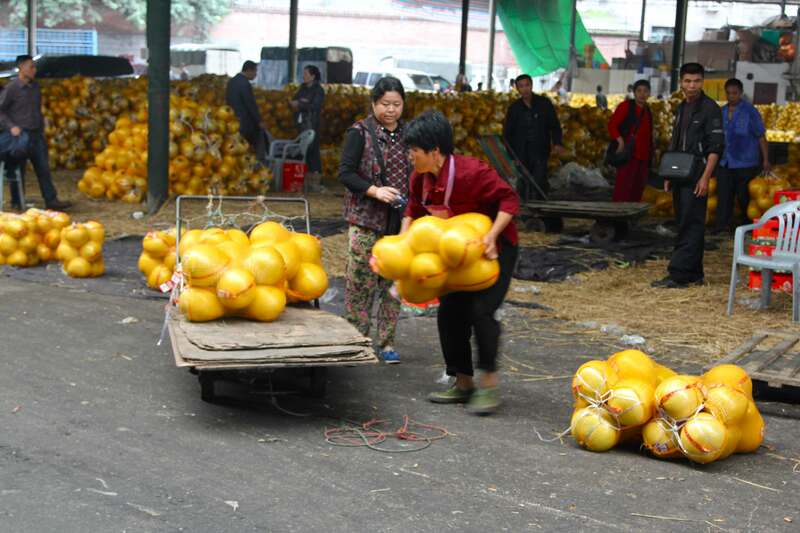 9:50 AM: Liu and Zhang return, accompanying a woman pulling a cart piled high with various types of fruit. Most of the fruit was Zhang’s that he had purchased throughout the morning before we met up with him, and Liu has accompanied him around to the vendors with a hired cart to see whether he wanted to buy any fruit from the same vendors to try and get a deal. We all help her load all of the fruit they have bought into the back of Liu’s vehicle. Afterwards, Liu has the woman transport the pomelo he negotiated to buy earlier from the vendor’s stand to his cart, and the woman quickly navigates the cart over to the vendor, loads the pomelo, and transports the citrus back to Liu’s vehicle. They pay the woman 3 kuai for her work, and she sets off again in search of more cargo to transport. The pushcart woman forms part of the logistics system for transporting fruit between the point of sale and buyers’ vehicles parked relatively far from the purchase point. 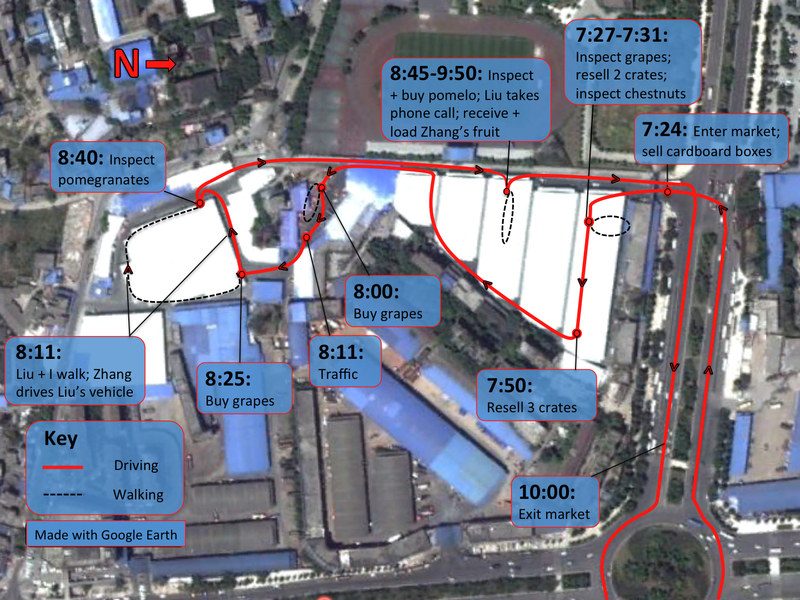 Once outside of the market, Liu will help Zhang transfer his fruit from his vehicle over to Zhang’s, and then the two will part ways, with Zhang driving off to sell in his neighborhood of Jiangbei. 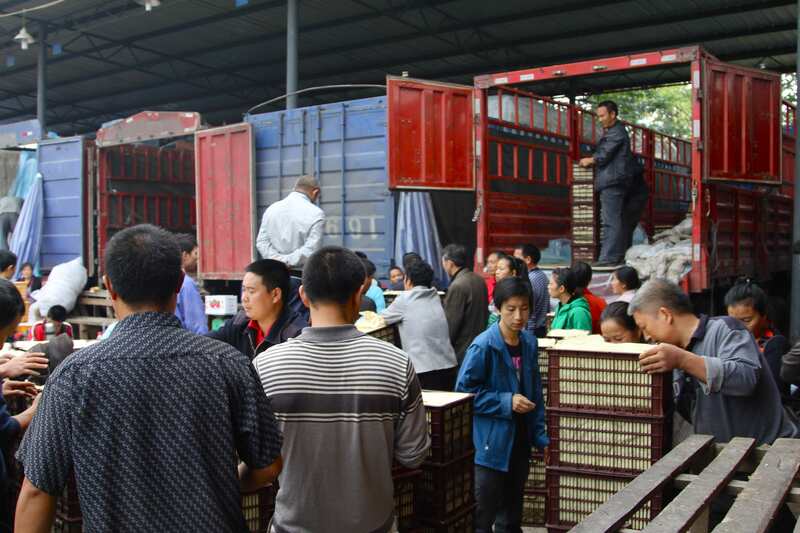 1) Containers are time-consuming: Liu spent a significant share of time in the market attempting to offload the containers his fruit came in – from selling his cardboard boxes to trying to get the deposit back on the multiple varieties of plastic crates in his vehicle. Between the amount of space they occupy in his vehicle’s cargo bed, the money needed to pay the deposit for them that could be used for buying fruit instead, and the numerous complications involved in trying to return them, plastic fruit crates are a salient pain point for vendors at this wholesale market. I’m surprised a system comparable to that of the cardboard boxes (buyers waiting at the market entrance) is not yet in place. 2) Buying fruit is complicated: Besides consideration for what the fruit is contained in, purchasing the fruit itself is not a straightforward process. From finding a vendor offering the precise combination of price and quality that you require (or at least that you believe you can bargain down to the desired price point), to the need to personally and rigorously inspect for quality, to actually transporting the fruit from the sales point to your vehicle (a daunting proposition if you are parked outside the market, or the vendor is in a traffic-prone area), buying fruit in a wholesale environment is markedly more complex and stressful than buying it in a typical retail-level setting in Chongqing. 3) Time is money; trust is priceless: Although his three-wheeled vehicle is the most valuable thing Liu owns and necessary for his livelihood, he did not hesitate to hand the keys over to Zhang and have him navigate through the crowded market while he went to inspect vendors’ inventories. This indicates several things; One is the high value of time to Liu (and, I imagine, all fruit vendors), for whom competition is stiff and every second saved in the wholesale market is another second spent selling on the street. The time Liu spent inspecting the inventories of sugar cane and clementine sellers on foot instead of extricating his vehicle from the gridlocked grape section was valuable enough to justify momentarily turning his vehicle over to Zhang. Two is the high level of trust that Liu places in Zhang – both morally to not drive away with his vehicle, and also in his skills as a driver to believe that he would not damage his vehicle. Three is the inadequacy of simply “driving by” a vendor’s inventory for deciding upon its quality, and Liu’s perceived need to physically approach a vendor’s stall to ascertain whether the fruit meets his requirements (though admittedly the need to approach on foot could also be due to the high-stress and attention-intensive act of driving within the market making it hard to do anything besides concentrate on not crashing). Considering these facts, I was surprised not to see vendors approaching drivers in their vehicles (particularly those stuck in traffic) with a “sample platter” – physical examples of the various types and qualities of fruit that they are offering for sale – with the hopes of attracting the drivers to their stalls. 4) Analog > digital: Vendors keep purchase records in physical notebooks, and I did not see any evidence of creating a duplicate digital record. Potential customers are able to see the final price and quantity of all previous purchases on a page, setting fairly concrete guidelines for price negotiation by creating a record to refer to. This record is also important for buyers unable to immediately transfer their purchase to their vehicles, and for whom the vendor must temporarily set aside their order. When wholesalers must handle hundreds of purchases a day, the “solidness” of a physical record and its incorporation into the purchase process minimizes the chance for mistakes. 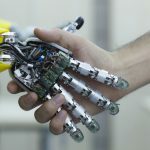 Nonetheless, the time will come where technology is sufficiently usable, reliable, and affordable enough to lead this wholesale market to effectively “go digital”. For a glimpse into how such data could potentially benefit buyers sellers, and customers alike, refer to this paper (or more succinct powerpoint) by Professor Robert Jensen. Up next: Although I am in China to research how people use and modify their vehicles, equally important for understanding vehicles’ roles is studying how people behave when they do not have access to vehicles. As Oudshoorn and Pinch emphasize in “How Users Matter,” one should study how users operate without using a given technology to more deeply understand its role and importance. For example, what would Zhang have done in the above instance had he not met Liu in the market? What pain points would he have had to navigate as he transported his produce from various purchase points to his vehicle parked outside? How does a vehicle driver’s interaction with the market differ when the primary challenge he faces is not finding parking or negotiating traffic, but quickly and affordably transporting produce from multiple sales points to their vehicle?